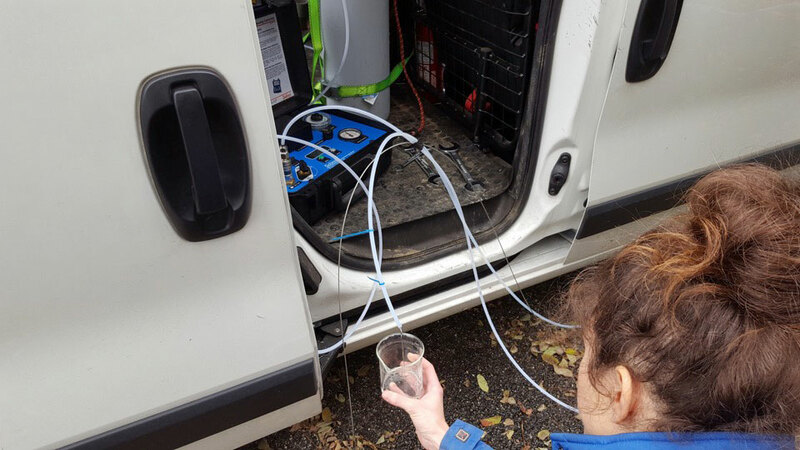 Gruppo Egeo, the exclusive distributor of Solinst products in Italy, recently worked with a client with very specific groundwater sampling requirements. Their client Tecno Habitat, an engineering company specializing in the environment, has the task of investigating the vertical distribution of tetrachloroethylene (commonly known as PCE) in the groundwater at an abandoned industrial site. Monitoring well requiring sampling for PCE concentrations. PCE is a moderately toxic chemical that is most commonly used in dry-cleaning and degreasing products. It is classified as a volatile organic compound (VOC). PCE is mobile in groundwater, and in sufficient quantities is found as a dense non-aqueous phase liquid (DNAPL). Three main factors were considered when selecting the appropriate groundwater-sampling pump. When sampling for VOCs, an important goal is to minimize the disturbance of groundwater in order to reduce off-gassing of VOCs. Low flow sampling is a widely accepted sampling protocol, especially when VOCs are involved. Low flow sampling involves extracting groundwater at rates comparable to ambient groundwater flow. Drawdown, mixing, and turbulence are minimized, allowing a sample that is representative of actual in-situ conditions. 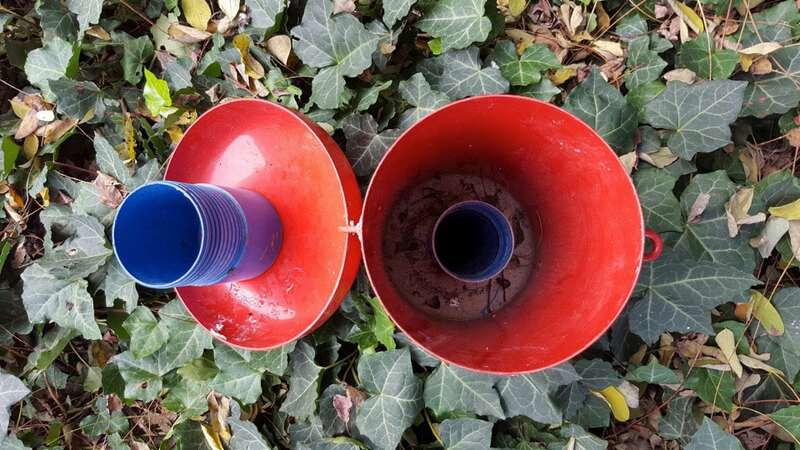 Check out our technical bulletin for more on low flow, VOC sampling. A pump that provides a low flow rate of 100 ml/min was deemed ideal in this case for minimizing off-gassing. As such, traditional sampling systems such as bailers and inertial pumps were eliminated as options. Next, the required sampling depths had to be taken into account. The four monitoring wells being sampled have static water level at 37.5 meters below ground surface. Samples are required from 42, 46, and 48 meters below the surface. This ruled out the use of low flow sampling options, such as a peristaltic pump, which is designed for shallow groundwater sampling scenarios. The concentration of PCE in groundwater is highly sensitive to variations in temperature. Therefore, this excluded the use of samplers that use submersible motors. The use of down-well motors could potentially raise the temperature of the groundwater, causing the concentration of PCE to change and become unrepresentative of the actual conditions. Solinst Bladder Pumps were selected as they meet and exceed the criteria for this sampling project. Solinst Bladder Pump being lowered down-well. Flow rate: when using a Solinst Electronic Pump Control Unit, the Bladder Pump can be adjusted to provide a continuous output of 100 ml/min or less. Solinst Electronic Pump Control Units are easy to adjust to provide low flow sampling. Sampling depth: Solinst Bladder Pumps can lift from depths up to 150 meters (500 feet) below grade. Water temperature stability: Solinst Bladder Pumps are operated using an Electronic Pump Control Unit and an air compressor or compressed gas source at the surface. There are no components that would introduce a temperature change down-well. 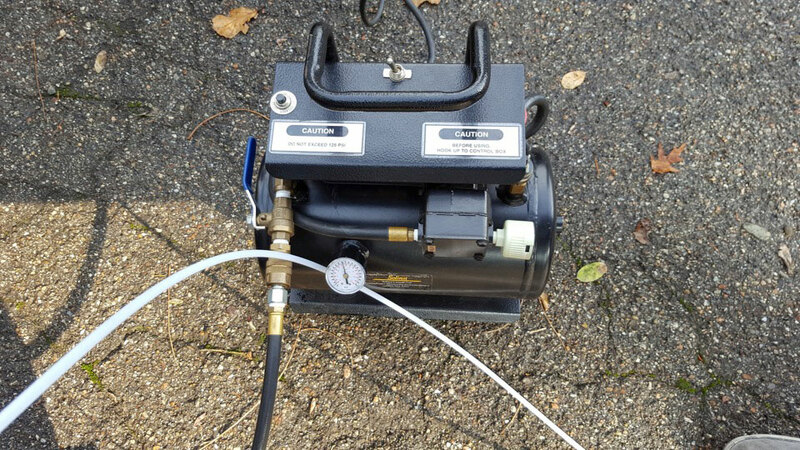 A Solinst 12 Volt Compressor is used to provide drive gas for the pumping setup. In addition to providing low flow rates, Solinst Bladder Pumps have other characteristics that make them ideal for VOC sampling. The pump tubing and bladder ensure there is no air/water contact during operation, reducing the risk of the sample being aerated. Solinst Bladder Pumps are designed so there is no air/water contact during sampling. During operation there is slow, steady compression of the bladder, minimizing off-gassing and turbulence, allowing undisturbed VOC samples. Watch our operating principles video to see exactly how the Solinst Bladder Pump works. Click this link to learn more about Solinst Bladder Pump options and how they could work for your next sampling project. 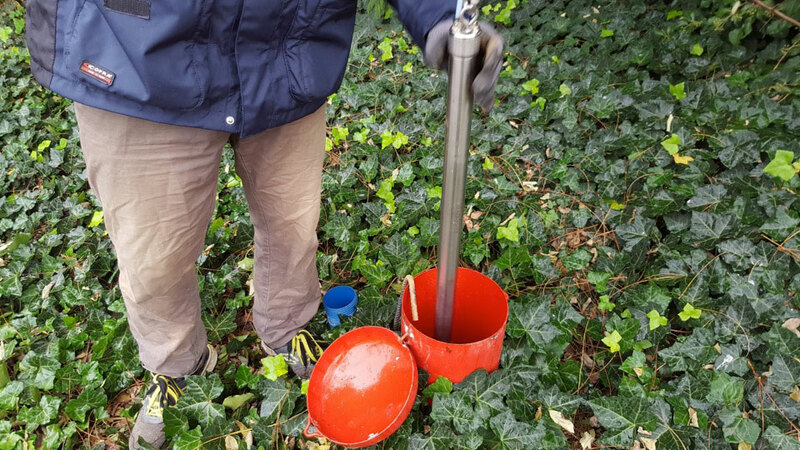 Have more questions or would like to discuss your groundwater monitoring application? Contact one of our technical representatives and we will be happy to answer any questions you have. Solinst thanks, Claudio Zalunardo of Gruppo Egeo for providing the details of this project. This entry was posted in Low Flow Groundwater Sampling and tagged low flow sampling, voc sampling, groundwater sampling, 407 bladder pumps, low flow groundwater sampling on March 8, 2018 by Tricia Lane.